Brian Wood is a shareholder with Lind, Jensen, Sullivan & Peterson, P.A., whose practice emphasis includes the areas of commercial transportation, products liability, retailers’ liability, personal injury, toxic torts, insurance law and life, health and disability law. He has substantial experience in all areas of practice and has represented numerous insurers and corporations. He represents companies for claims related to employee conduct, including assaults, sexual abuse, and other actions bringing rise to negligent supervision claims. He is an active member of DRI and related committees, as well as the Federation of Defense and Corporate Counsel, where he is past chair of the premises liability committee. 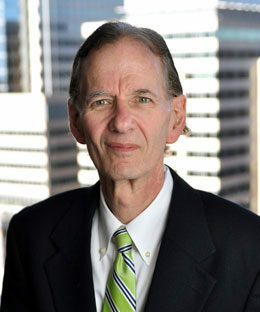 He has participated and chaired many legal education programs in Minnesota. For a short time he was adjunct professor at William Mitchell College of Law. He was also selected as a Super Lawyer® in Minnesota Law and Politics and Twin Cities Business magazines. Brian follows his legal philosophy of “Good Solutions – Fast”.